One of my favorite craft beer styles right now is the lambic. I really like sour beers, and many lambics are quite sour or at least very tart. And many are brewed with fruit. 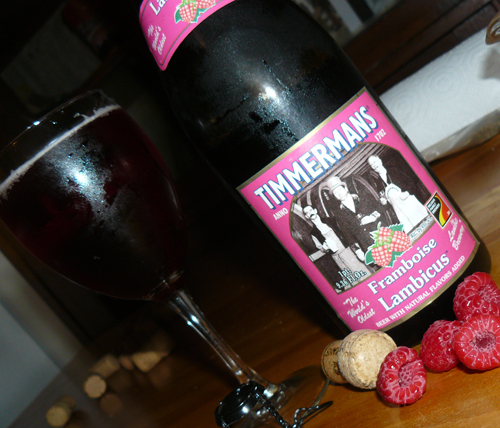 My latest sour lambic: Timmerman’s Framboise Lambicus (2012). It came in a large “bomber” bottle (1 pint, 9.36 fl. oz. ), and it was bottled on May 31, 2012. The price was $12.25, though pricing will vary based on retailer. First thing you notice after removing the cork is a very strong raspberry scent that immediately wafts out of the bottle. (Framboise is the French word for raspberry.) I poured the brew very slowly into a small-stemmed goblet, and it settled with medium carbonation and very little head. 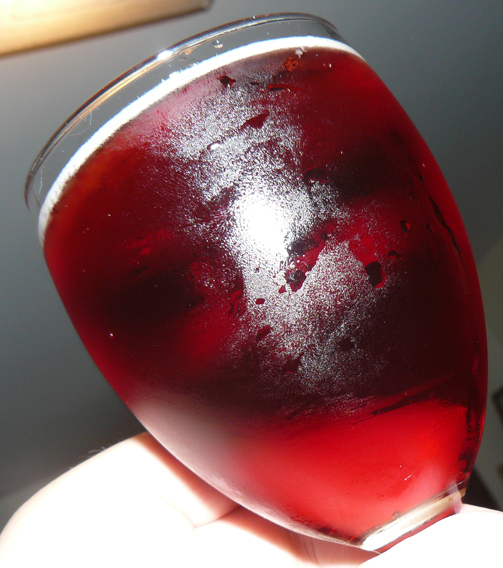 The color of the beer is a beautiful and vivid deep pinkish-red, and it seems to glow if you hold it up to a light. The raspberry flavor tastes natural, unlike many framboise lambics or other raspberry flavored beers that taste fake or too sugary. Some lambics are noticeably acidic. This one isn’t. And that’s a good thing. The brew is also aged in oak, though the associated flavor is rather mild. Timmerman’s Framboise Lambicus has a low, 4.0ABV, and you really can’t taste any alcohol. In fact, it tastes a lot like a carbonated raspberry juice. Timmerman’s claims to be the “World’s oldest lambic brewery,” and the Belgian brewery is part of the Anthony Martin “Finest Beer Selection” family of brewers. 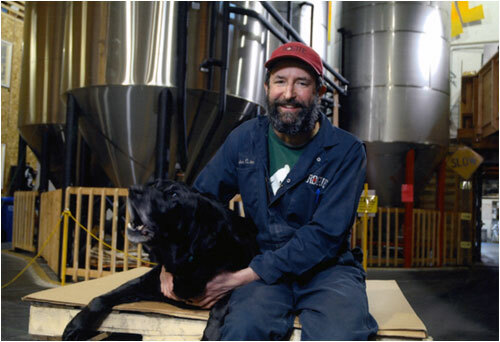 Learn more about Timmerman’s Framboise Lambicus or order the beer online from the Anthony Martin website. Breweries, Culinary, Stone Brewing Co.
I’m a big fan of Stone Brewing Co. and its Levitation Ale, so when I saw the company’s Stone Levitation Ale Barbeque Sauce on sale at the Craft Beer Cellar in Belmont, Mass., I didn’t hesitate to buy a bottle. And I’m glad I did. It is some seriously delicious sauce. Awesome sauce, you might say. Chili de Arbol and liquid smoke give it a very mild spice and smoky taste. And the Levitation Ale and some Stone Pale Ale mustard add a unique flavor that’s unlike any other bbq sauce I’ve had before. I marinated a chicken breast for about three hours before grilling it up, added a bit more sauce after it was cooked, and I was a happy man. Unfortunately, my girlfriend didn’t feel the same way, because she’s a vegan and the sauce contains anchovies. Stone also makes a Smoked Porter Barbeque Sauce, but I haven’t tried that one yet. Both sauces can be purchased online for $7, plus shipping, from the Stone Company Store. 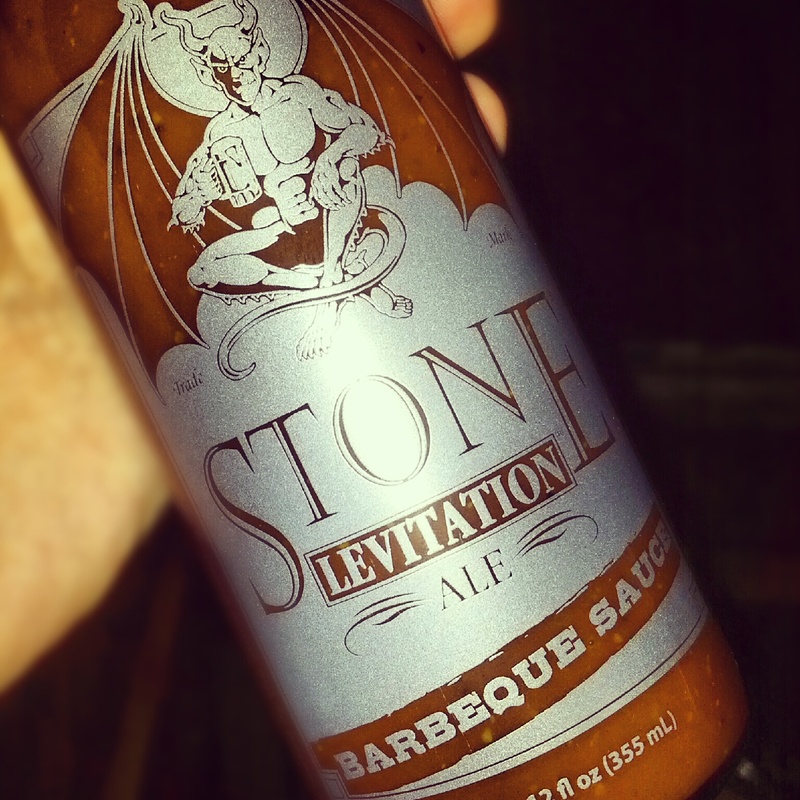 Tagged ale, bbq, beer, Levitation Ale, marinade, sauce, Stone Brewing Co.